Mississippi River Heritage, Natural History, and Recreational observations from author Pat Middleton. Welcome! Specials from Great River, SAVE 40%. Trying Something New… E Chapter Books! 30 years of River Content and Waterway Travel, I am trying out pdf and flipbook formats. If you wish to have it as a kindle file on Amazon, let me know and we will post it there! 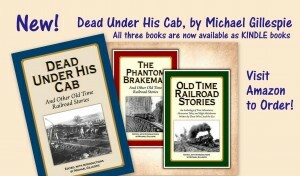 Please have a look at our sampler links above and let me know what you think. 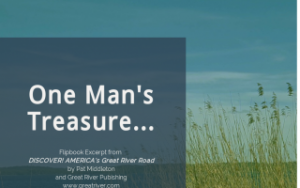 I also have a Mississippi River Treasuring Hunting Guide based on one of our HEARTLAND BOATING feature stories, and I’d like to get a Winter Bald Eagle Pamphlet out before long. and here for the Treasure flipbook. Our idea is to offer shorter readings of perhaps 12 pages on specific topics, rather big chunks on the whole river. Your thoughts are welcome! This entry was posted in Uncategorized, Boating the Mississippi, Railroading History, historic maps, Feature Story Archives, Treasure Hunting, Historic Hand-Painted Maps by admin. Bookmark the permalink. We hope you'll return many times to sample our huge Mississippi River Travel, Education and Recreation resource.